Less than a month ago, I have shared Velox Cydia Jailbreak tweak with all of you here. 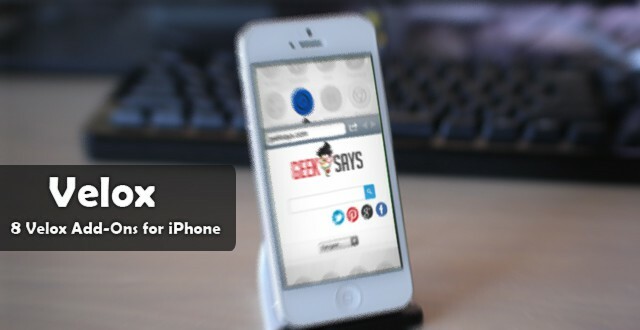 The tweak quickly becomes one of my daily usage tweaks on iOS, and start taking on their tweaks. I guess Velox is not new to you, as far as you are reading this. Velox has changed the way I used to interact with application icons on my device. It helped me in checking out several things quickly without even opening the stock applications. Velox Tweak quickly makes me fall in love with it, as it allowed me to quickly check out the notifications, and browse a web without even opening the Safari or Mail application on my device. However, Velox is a great Cydia tweak for everyone. But it misses lot of things, and compatibility with several third-party applications and people like me still looking for the new extensions to make it work more powerfully on iOS. After using it for few weeks on my day use device, I finally come up with 5 and more Velox add-ons that will supercharge your experience on iOS with the tweak. On the launch of Velox, no one expected that it will come out as big but now it has start ruling out the Cydia repositories with additional extensions that allow compatibility and features with other applications. Here are some of the best, and top Velox add-ons that you should check on your device. 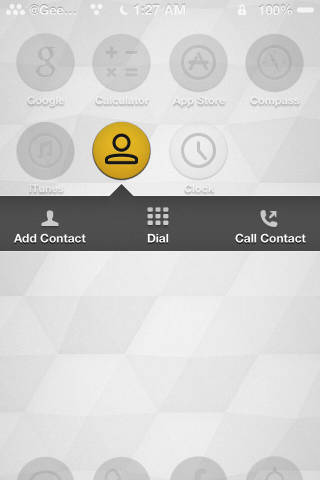 Velox by default already supports the iOS Contact application, and allows you to quickly check out any of your contact using a simple gesture on the icon. But if you are still not satisfied with default options, you can check out Addial to add some more features to Velox folder for Contact application. It adds three button on Contacts application Velox window that allows you to quickly add a new contact, call a number or dial a number directly. 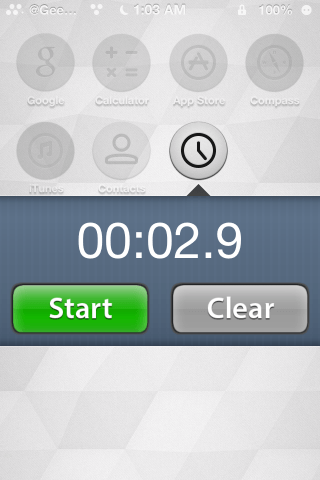 Stopwatch for Velox is a nice add-on for Velox. It allow people to easily access the Stopwatch by sliding a gesture on the clock application. It lets you skip the further taps on Clock application to get stopwatch working for you. It is a very handy add-on of Velox. 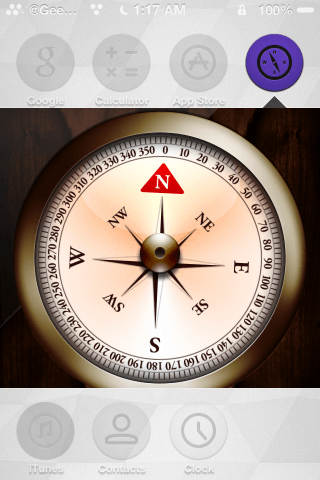 It allow users to easily check out for the directions using the compass. There are still many users who use compass to correct their directions, and many explorers still found out it useful for them. 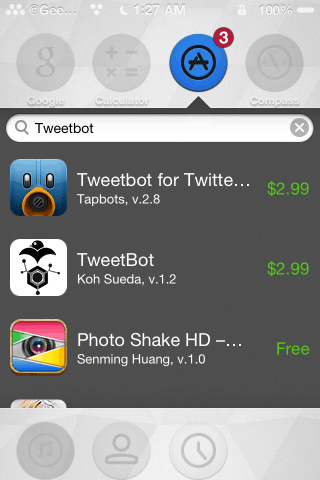 AppLook is an add-on tweak for Velox lovers. 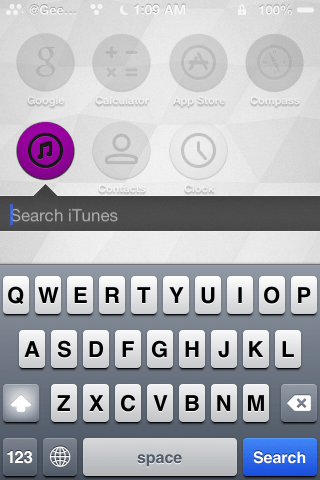 It comes up with a search window on Velox to easily search new applications in iTunes Store. It allow users to check out latest application availability with a simple gesture on the App Store icon. As its name already represents its work. It is an add-on designed for Google Search application on iOS to work with Velox folder view. It let people to easily search anything with a slide on Google Search application icon without even opening the Google Search application. Torch for Velox is Velox add-on that allow users to quickly turn on the flashlight using Flashlight application on their iPhone device. It becomes handy for many including me! It is a nice tool that allows you to easily look up into the iTunes Store, but it doesn’t provide any kind of deep information on Velox folder. It just comes up with listing on the Velox folder to quickly access the product. 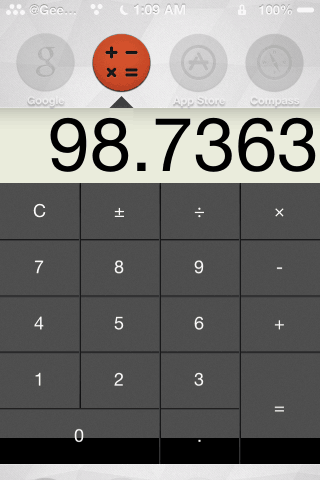 Calculator for Velox is such a handy add-on for Velox users. It helps me a lot in accessing the calculator on my device. I don’t have to face any kind of delay while accessing my quick calculations on my iPhone device.